As we are now less than seven weeks away from season two’s opener in Beijing, most Formula E teams are keeping details of their powertrains under wraps. Although there is little chance of one manufacturer being able to copy another this late in the day, the secretive nature of motorsport means that most teams are keeping their cards close to their chest. Some like Mahindra and Venturi have been incredibly open about their designs and specs, but most others have kept their designs secret. 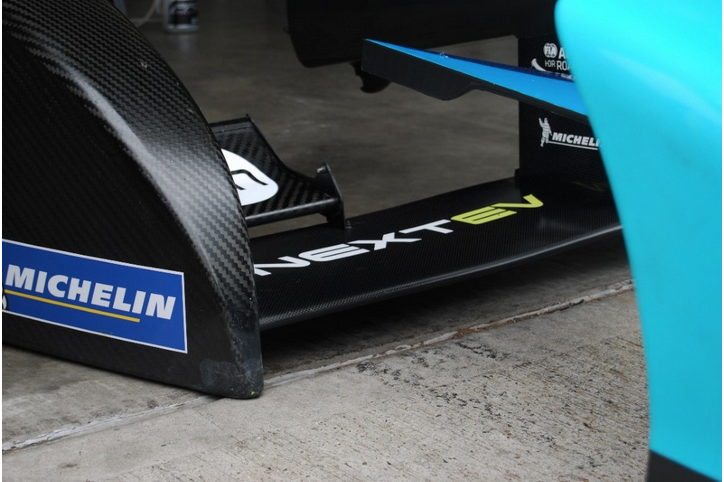 One team to give hints about their design approach months before testing was NEXTEV. They have been working for a long time on a dual-motor system. At first, many people were surprised and unsure about the team taking this step. However, NEXTEV and their main development partner Rational Motion have remained tight-lipped since their initial announcement. So what do we know about their system and how might it work? All we know from the NEXTEV camp is that they are running a system with two motors and one gear. When the system was being tested, world-feed commentator Jack Nicholls described their powertrain as “Direct Drive”. This is where the motor is directly connected to the wheel, without any gearbox or differential. While this might be a possibility, this concept seems a bit elusive at the same time. When a car goes round a corner, the outside wheels have to turn more times than the inside ones. The explanation behind this effect is easy to elucidate: the outside line is a greater distance to travel compared to the inside one. With almost all road cars, this is easily coped with by a differential. This allows one wheel to turn more than the other. Here is a great video explaining how a differential works. But on the track, if they were using a differential, this wouldn’t match Jack’s theory of it being Direct Drive. So that would mean having a motor attached to each rear wheel. That would justify using two motors, wouldn’t it? Or would it? If this was the case, it would require a computer program to tell each motor how much it should be turning at any given moment. But this would class as “torque vectoring” which is banned by the FIA, as it is a driver aid. A car that uses torque vectoring extremely well is the Rimac Concept One. It has a motor for each wheel, all controlled by a plethora of sensors and one main computer to give optimum, grip, efficiency and performance. It is fair to rule out the possibility of a Direct Drive system, or at least it is with the current regulations. 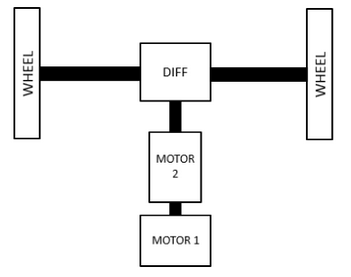 The layout of the system if it was to use two direct drive motors and torque vectoring instead of a differential. 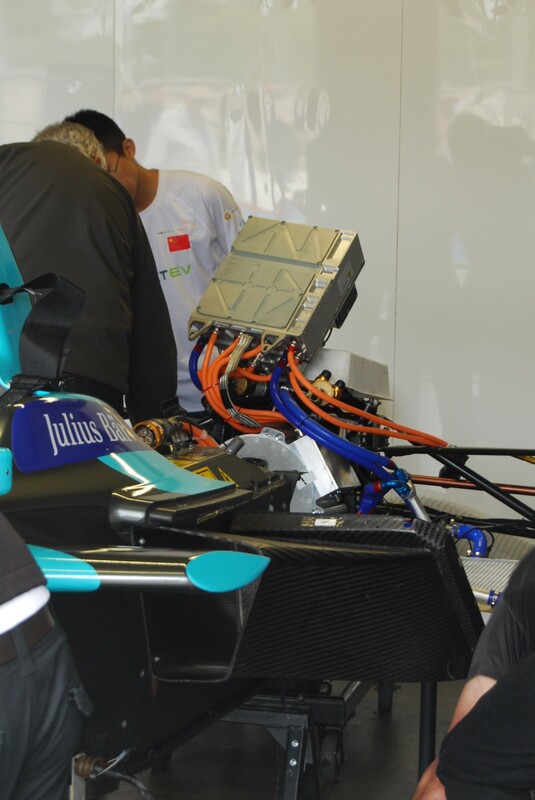 One possible array of the NEXTEV system with two motors feeding straight into a mechanical differential. Yet this does not explain why NEXTEV TCR is using two motors. It could be to increase performance, and consistency of torque. Torque is the amount of twisting force coming out of the motor: the greater the torque, the greater the acceleration. This is crucial in qualifying where sheer speed is what counts. Electric motors are brilliant in that the moment the motor shaft starts turning, the motor is producing its maximum torque. This is what’s called “instant torque”. Each electric motor has its own maximum torque and its own “torque curve”. This shows how much torque the motor generates at what speed. The benefit of two motors, is that one can utilise the benefits of each motor’s torque curve. Take an example: imagine you have one motor that has a maximum torque of 90 NM (Newton metres), but it tails off quite quickly at speed. Then you have a second motor with a maximum torque of just 70 NM, but this one maintains that maximum torque into a higher rev range. The combination of both motors means one is able to make use of the benefits of each motor. An example of how two motors could be used to maximise torque. It’s also worth noting that different electric motors may be more efficient at different revs, so it could also be that NEXTEV’s system slightly shifts how much power (kW) it draws from each motor, depending on factors such as speed and motor temperatures. This could help save energy throughout the race, further benefiting the amazing strategies Formula E champion Nelson Piquet JR and the team exploited on many occasions last season. Also, if a team wanted to have just one gear, as many road EVs do, the motor would have to have a larger diameter. Apparently to have a motor capable of generating the amount of torque needed without a gearbox, it has to be bigger in size. This could be a problem not only in terms of packaging but could also raise the car’s centre of gravity. So NEXTEV may have effectively ‘split’ the motor in two, so to be able to create smaller diameter motors while still generating enough torque. Here you can see the top of their motors, which visibly have a much bigger diameter than last season’s. One further advantage of a two-motor system: there are greater cooling opportunities. By having two motors of less length, extra cooling tubes could be installed between the two motors, effectively reducing the amount of motor surface area which remains uncooled. They could also shift power to the other motor if one gets too hot. Cooling is an area where many of the teams got unstuck last season, and are looking to improve upon with their new powertrains. So, what does all this mean in terms of their final powertrain design? It seems likely that NEXTEV will have two slightly different motors, both connected to a shaft going into a single gear differential provided by their partners Omnigear. Many hours will have gone into deliberating over a design, which they believe will be the best. 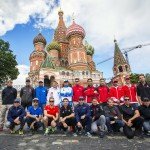 Certainly none of the teams will be certain that they have got things 100% right, as they anxiously turn their wheels for the first time on the streets of Beijing. But after all, this is what adds to the excitement of Formula E: not only brilliant racing but also venturing into the unknown of electric technology.